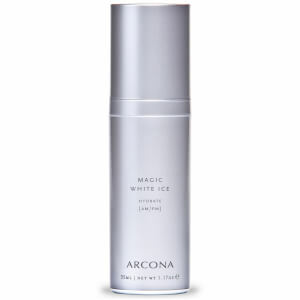 Smoothen your skin with ARCONA MEN Productivity, an enzymatic exfoliator that works to soften and refine the complexion. The polishing formula utilizes Salicylic Acid and Volcanic Minerals to purify and exfoliate skin, sloughing away dead skin cells to leave the complexion with a brighter, more clarified appearance. Its dose of Cranberry and Raspberry Enzymes help to decongest pores, leaving skin with a more refined look. 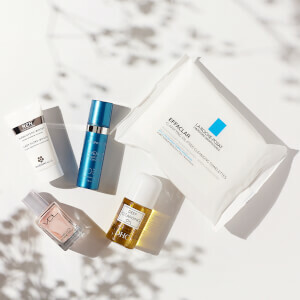 Promoting a clearer, smoother-looking canvas, the exfoliant also contains a cocktail of antioxidants to protect skin against external aggressors. Use 2-4 times a week. Apply 1 teaspoon to damp face and neck in light upward and outward circles. Mix with water to desired consistency. Avoid eye area. Rinse well. Agua (Distilled Water), Jojoba Beads, Milk Caprilic/Capric Triglycerides (Plant Oils), Hamamelis Virginiana (Witch Hazel) Extract, Glycerin*, Sucrose Stearate, Vaccinium Macrocarpon (Cranberry) Fruit Extract, Vaccinium Angustifolium (Blueberry) Fruit Extract, Red Raspberry (Rubus Idaeus) Extract, Camellia Sinensis (White Tea) Extract, Salicylic Acid, Amino Acids, Volcanic Minerals, Silica, Grapefruit (Citrus Gandis) Seed Extract.